At Victorian rendering and restoration ltd we have a specialist team of experienced and qualified renderers with many years experience. We specialise in all renders from silicone based renders such as k-rend and monocouche, to traditional renders such as lime and sand and cement. Render can improve the appearance of your property, help penetrate damp and improve thermal performance. This is the standard render used on external walls. Two or three coat system, requires decorating once applied. Materials used are sand and cement with weatherproofing. 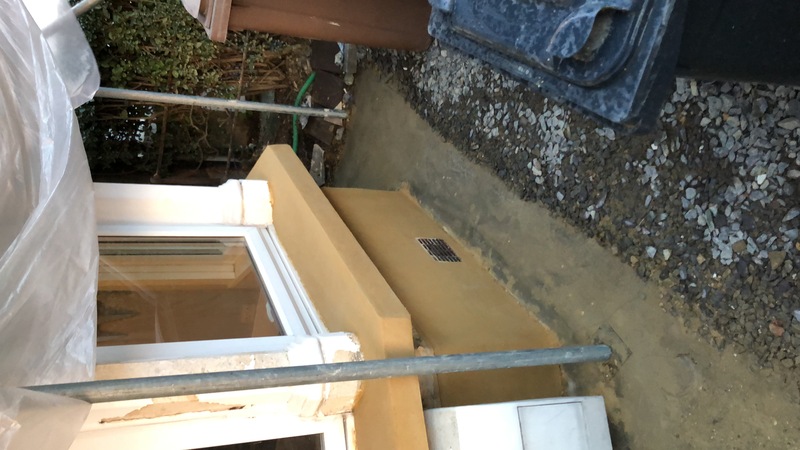 At Victorian rendering and restoration ltd we specialise in k-rend. Applied in a two coat system with a mesh, along with added fibres, it prevents cracking and gives a durable, lasting finish. It is a finished system once applied and comes in many different colours, textures and also contributes to insulation within the property. Monocouche render is a single layer system with a textured finish. It contains additives which makes it more flexible to prevent cracking and some can even be self cleaning. Materials used are supplied in bag form readyfor mixing with water. This is a traditional render, normally used to match existing render or where flexibility and breath ability is called for. It is very flexible to prevent trapped moisture and also looks very appealing. Materials used can be traditional lime putties or hydraulic limes mixed with sand. There is also lime-based monocouche renders such as K-Lime.